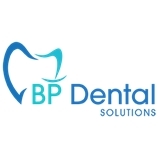 BP DENTAL SOLUTIONS (New York) - Book Appointment Online! BPDENTALSOLUTIONS.COM Our practice philosophy is to uphold a standard of excellence in personalized dental care through patient education and preventive dental care using the utmost advanced technology and painless dentistry.Your confidence and comfort is at the heart of our work. You will find that we are dedicated and passionate about maximizing your dental health and strive for the ultimate dental care for our patients. Our full-service dental center offers the cosmetic, restorative, and general dentistry you need, partnered with the personalized care and state-of-the-art technology you deserve. We will cater to your every need, and Dr. Boris Pinhasov will personally address your concerns about dentistry and your smile goals. From a simple dental cleaning, to learning about dental implants, in-office teeth whitening, or Invisalign, we are here for you.